ISRO Chairman K Radhakrishnan said the space agency is likely to shift the IRNSS-1B navigation satellite to Sriharikota on March 3, where it will be integrated with the PSLV-C24 on which it will be launched. A series of meetings of high-ranking ISRO officials beginning on Saturday will decide the launch date, the window of opportunity for which opens on March 31. Also, ISRO is lining up for first experimental launch of the GSLV-Mark III towards May-end. The GSLV-Mk III is the most powerful rocket envisioned by ISRO so far, and is part of the plans for the Chandrayaan-II moon mission. It will also place in ISRO’s hands a launch vehicle capable of placing heavy communications satellites in orbit, reducing reliance on foreign launch vehicles like Ariane 5. The experimental flight of the GSLV-Mk III will be sub-orbital, meaning it will not reach orbit around the Earth. The rocket will be able to achieve velocity of about 5 km and rise around 120 km from the Earth, after which it will descend into the ocean. The flight will see the craft fitted out to actual flight parameters and will be used to gain inputs on performance parameters on aerodynamics, navigation control processors and other factors. 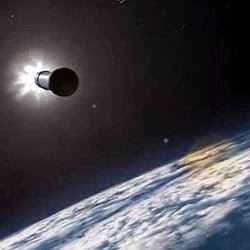 The experimental flight, however, will not feature the indigenously developed upper cryogenic stage. The experimental flight will have long-term significance as it will have on board a crew module. The crew module is a significant aspect that ISRO will have to master if it hopes to realise its goal of human space flight.